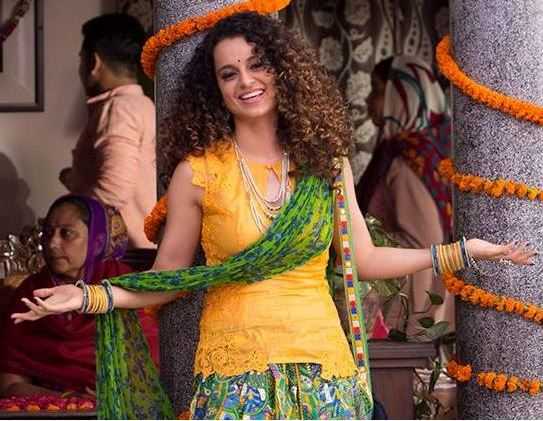 With Tanu weds Manu Returns topping all the blockbuster charts, Kangana is being admired for her flawless drama skills and pleasing beauty. For her, it seems like time is running backwards. She has looked phenomenal throughout the movie but her stylist, Reza Shariffi needs to be equally applauded and given due credit. He has done a glorious job with completely uncomplicated outfits & accessories. He has created some very cool and divergent looks with an everyday wardrobe. Read on to find out what could be your next fashion escapade. I’m sure you will make a lot of heads turn. The last experiment we saw with a Patiala was its concoction with a Tee. But this time it’s even better. This bewildering mixture of a simple printed Patiala with a trendy short kurti creates a totally dissimilar look. A casual outfit you can flaunt while you’re hanging out with friends or just going for a coffee date. Bored of wearing the cliché salwar kameez on all occasions? Well we have something exciting for you. 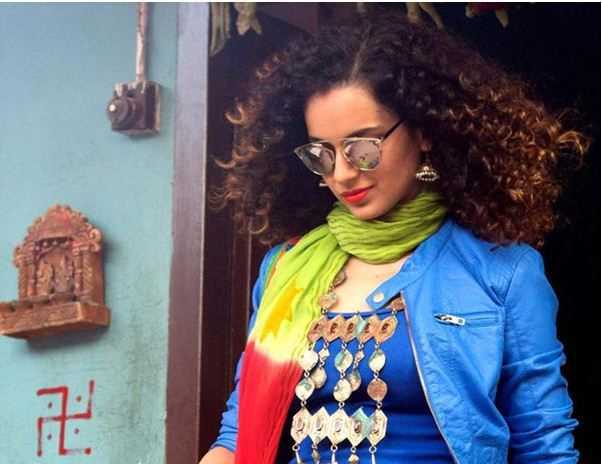 A heavy mirror work short kurti and a printed Patiala have put up a great show. The combo looked stupendous as an ethnic wear. This is perhaps the most effortless ethnic outfit by far. Time to bring the heavy patialas (which you once dumped) back into your life. You may have a couple of dhoti pants still hanging in your wardrobe from last season. While most of us thought that they are fainting from the fashion industry, they made a comeback in the movie and what a glorious come back, I must say! We’ve got a completely new way of parading them. Teaming up an unornamented camisole and a leather jacket with a spirited dhoti pants can give you a seasoned look. Silver jewellery is an all time favourite and thus never goes out of fashion. Ofcourse the presentation keeps changing. This huge chunk of silver looks exceptionally voguish with the camisole & dhoti pants synthesis. The silver earrings complete the whole look by adding some extra bling. Saree is the most ethnic turnout of all times. On the other hand, an over coat is the baby of the West. But when the two were brought together they created a totally up to the minute look. A high bun was last seen on the Cannes’ red carpet this year where the celebrities were seen vaunting it with designer gowns. But when it was given a chance to enhance the elegance of a saree, it did a pretty good job. 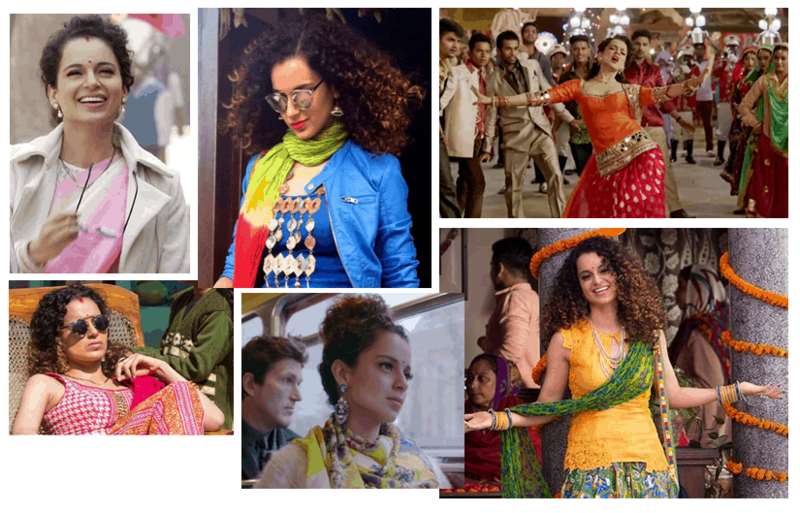 So, the movie has not only tickled our funny bone, but it has also given us some very funky looks to flaunt this summer. Do let us know how you styled your outfits this summer. Write in as usual. For more ideas on how you can put together some fusion outfits from your existing closet, check here.